December 12, 2013 , Auburn Hills, Mich. - Two Chrysler Group entries – the 3.0-liter EcoDiesel V-6 and the Fiat 500e battery-electric drive system – are among Ward's 10 Best Engines for 2014, WardsAuto.com announced today. Each stands out on the prestigious list. The 500e's lively system is the lone representative of electric vehicle (EV) technology, while the refined EcoDiesel V-6 is the first and only clean diesel in a full-size light-duty pickup. "We are very gratified with this year's Chrysler Group selections because they demonstrate the depth of our engineering talent and shine a spotlight on the wide range of Chrysler Group products," says Bob Lee, Chrysler Group Vice President and Head of Engine and Electrified Propulsion Engineering. Chrysler Group engineers adapted the EcoDiesel for the NAFTA market following the engine's debut in Europe. Meanwhile, the all-electric system that powers the Fiat 500e A-segment hatchback was engineered from the ground up at Chrysler Group's headquarters, home to global electrified propulsion development for Chrysler Group and its Italy-based alliance partner, Fiat S.p.A. The all-new 3.0-liter EcoDiesel V-6 generates 240 hp at 3,600 rpm and 420 lb.-ft. (570 Nm) of torque at 2,000 rpm. Also available in the 2014 Jeep Grand Cherokee, WardsAuto judges tested the engine in a 2014 Ram 1500 – the NAFTA market's first and only light-duty pickup powered by clean diesel technology. "Quiet, strong and as smooth as the diesels we've been testing in luxury cars, the Ram 3.0L V-6 works in perfect harmony with Chrysler's standard 8-speed transmission to deliver an unbeatable combination of power and efficiency," says Drew Winter, editor-in-chief of WardsAuto World magazine. "Thanks to advanced emissions-control technology, its exhaust is ultra-clean, making this engine available in all 50 states. If you're planning serious work or play, the Ram EcoDiesel really makes sense." Chrysler Group engineers adapted the engine – manufactured by Fiat-owned V.M. Motori – to meet the NAFTA region's stringent emissions and on-board diagnostic regulations. The new EcoDiesel V-6 is Tier 2/Bin 5 compliant. The EcoDiesel's fuel pump is upgraded to accommodate the engine's 2,000-bar (29,000-psi) high-pressure common-rail injection system. The engine also benefits from Fiat's MultiJet 2 technology, which enables Injection Rate-Shaping – fuel injection that is modulated to mitigate noise and improve low-speed throttle response, while reducing fuel consumption and emissions. The system's high-dispersion nozzles and advanced-technology servovalve can accommodate up to eight fuel-injection events per cylinder cycle. The EcoDiesel V-6 contributed to the 2014 Ram 1500's victory in the latest Motor Trend Truck of the Year competition. Its fuel-economy rating is not yet final, but it will be best-in-class – a distinction currently accorded the Pentastar-powered 2013 Ram 1500 which gets 25 mpg in highway driving. The new diesel engine also enables the 2014 Jeep Grand Cherokee, the most awarded SUV in history, to achieve best-in-class 30-mpg performance on the highway. 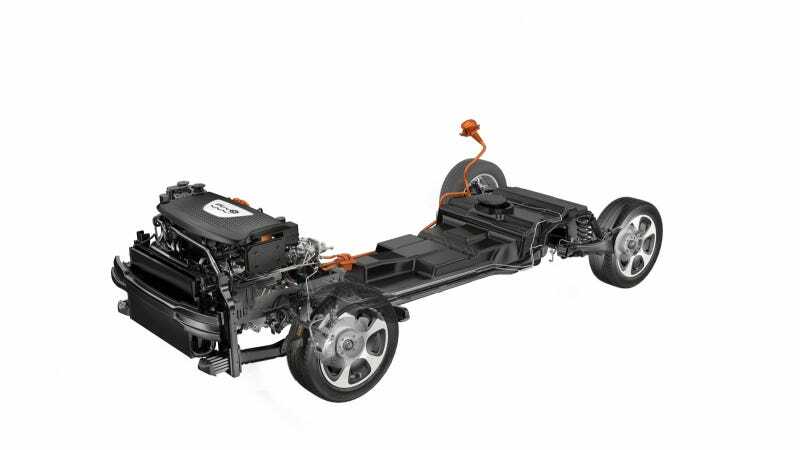 The 2014 Fiat 500e's liquid-cooled/heated battery-electric drive system produces 111 horsepower, 147 lb.-ft (200 Nm) of torque and boasts best-in-class range of 87 miles on a single charge – which takes less than four hours using a Level 2 energy source (240 volts). Typically, the 500e will deliver more than 100 miles of range in city driving. Such performance is enabled, in part, by a distinctive "blended" braking strategy that combines the coasting experience associated with conventionally powered vehicles, with the power-saving benefits of regenerative braking. Customers will spend an estimated $500 a year to power the car, according to the Environmental Protection Agency. But frugality is only part of the 500e's story, as WardsAuto editors discovered. "If the 500e can go fast enough to draw a speeding ticket (it did), then it should be taken seriously by Ward's 10 Best Engines judges (it was)," says Tom Murphy, executive editor of WardsAuto World magazine. "This 83-kW electric motor makes the lightweight 500e zippy around town and on the highway, easily topping 80 mph. As one of our editors said, it goes like hell." The position of its 24-kWh battery redistributes the car's front-to-rear weight ratio – 57:43, compared with 64:36 for the conventionally powered Fiat 500. As a result, the car benefits from improved handling. Chrysler Group's EV engineers focused their efforts on making the advanced technology seem familiar. Accordingly, the Fiat 500e – recently named Best Electric Car by Road and Track Magazine – has a "creep" feature that delivers smooth, measured acceleration when the brake pedal is released, as happens with a conventional internal-combustion engine at idle. In addition, there is no "ECO button," as found in competitive vehicles. Instead, the drive and braking systems are optimized to deliver exceptional range and performance at all times. The honors earned by the 500e system and new EcoDiesel V-6 build on the outstanding legacy of Chrysler Group's 3.6-liter Pentastar V-6 engine, named one of Ward's 10 Best Engines the last three consecutive years. The iconic 5.7-liter OHV HEMI® V-8 was a five-time winner from 2003-2007. Since 2009 when Chrysler Group was formed, the company's powertrain investments have totaled $2.5 billion – 48 percent of its manufacturing outlay. From model-year 2012 to the present, Chrysler Group has introduced 13 engines, in addition to the 500e battery-electric drive system. The 3.0-liter EcoDiesel V-6 and the 500e system are Chrysler Group's 12th and 13th entries to be honored in WardsAuto's esteemed competition, which marks its 20th year in 2014. "Congratulations to WardsAuto on the 20th anniversary of its 10 Best Engines program – a welcome tribute to powertrain engineers," Bob Lee adds. "Sorry about that speeding ticket."